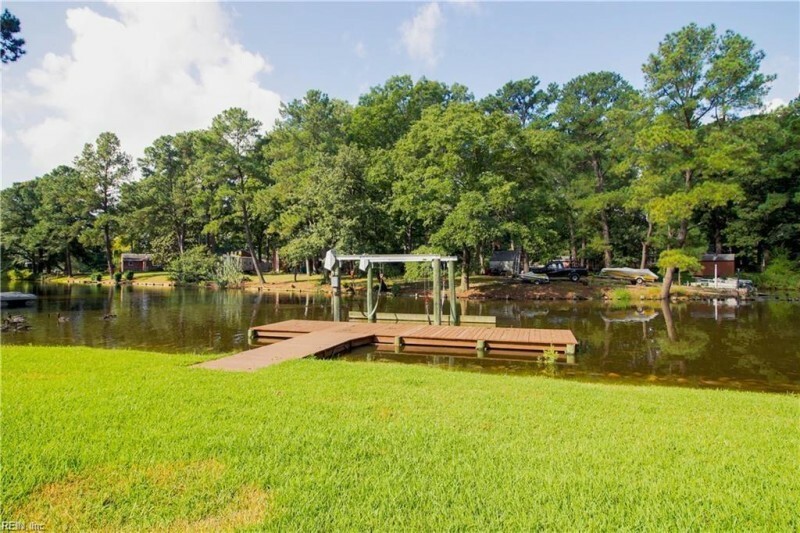 BEAUTIFUL SPLIT-LEVEL WATERFRONT HOME WITH DEEP WATER ACCESS, BOAT LIFT AND BULKHEAD!! ENJOY YOUR VIEW FROM NEW 2ND FLOOR DECK. HOME RECENTLY REMODELED AND BOASTS AN OPEN FLOOR PLAN WITH 5 BEDROOMS, 3 FULL BATHS AND SO MUCH MORE. NEW PAINT, NEW CARPET, GRANITE COUNTERTOPS, NEWER APPLIANCES, COOKTOP AND DOUBLE OVEN. SPACIOUS AND BRIGHT FLOORPLAN WITH 2 MASTER BEDROOMS (1 UP AND 1 DOWN), SUNROOM AND LIVING ROOM WITH FIREPLACE. MASTER BATHROOM HAS UNIQUE STEAM SHOWER. CONVENIENT LOCATION IN VIRGINIA BEACH AND NEAR HIGHWAY, BASES, SHOPPING AND SCHOOLS. Ready to visit 3505 Byrn Brae? Request a free property tour! Send me more information about the listing at 3505 Byrn Brae, Virginia Beach, VA 23464, MLS# 10240022. This 5 bedroom, 3 bathroom home located at 3505 Byrn Brae, Virginia Beach, VA 23464 has approximately 3,088 square feet. It is currently listed for $324,900 and has a price per sqft of $10,521. This home is currently Sold under the MLS#: 10240022. This listing is provided by 1st Class Real Estate LLC. 3505 Byrn Brae Drive, Virginia Beach was built in 1967. It has Off Street, Driveway Spc parking.The kitchen includes Dishwasher, Disposal, Microwave, Range. 3505 Byrn Brae is part of the Ballylinn Shores neighborhood located in 23464.